Our first experience of Burma was extremely positive.The support team were excellent they anticipated our every need always willing to help but not in the way. Nothing was too much trouble. The guide Mellow was very informative about the history and culture of Burma, we liked the extra trips e.g. Inle Lake, sunset boat trip at Bagan and visits to the many temples. The school visit was interesting so impressed by the enthusiastic pupils and their teachers. "An excellent trip which was well organised and managed by Claire and her team who made our visit to Burma so memorable. Every care was made to ensure the cycling each day ran smoothly and safely, the bikes were good for the terrain and well serviced every day. The team were wonderful and very attentive I can't speak too highly of them all. The group size of 12 was about right. Loved the variation of the tour with so many places visited eg Bagan and Napali Beach. 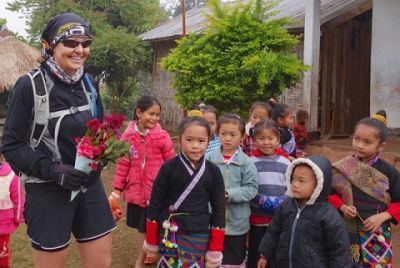 Visiting the school and meeting the children was a highlight of the trip for me." I would definitely book another tour with redspokes, everything was very well organized, the way it was run was responsible, professional and at the same time flexible to all of us. The route was unbelievable, breathtaking sceneries we had and Aidan and Bobby (Our tour guides) guided us extremely well making us feel each day alive, active and with a huge ambition and doubt what to expect each day of the tour. My personal opinion in a cycling tour or any other tour depend in 60% or even more in the chemistry of the people you are sharing it getting along with each other, the rest would be how the tour is run and how well is organized, however, in this case, we had a great group, very friendly making us feel be part of it as a nice family for two weeks, moreover the organization was simply excellent. 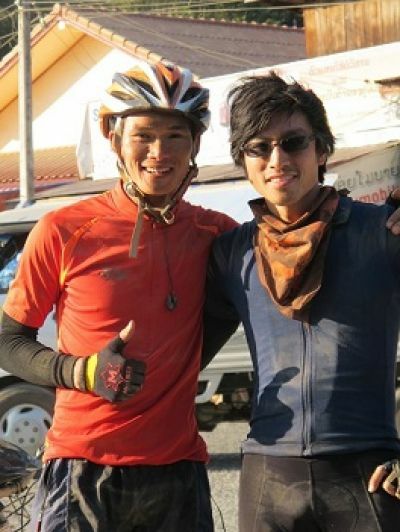 It was pretty challenging due to several hard uphills but at the same time riding with everyone made it more interesting, fun, and of course challenging. My redspokes tour in Laos was more than I could have imagined. The local team provided excellent support, delicious food, local knowledge, and a positive representation of ethical and culturally responsive tourism. The experience was a complete gift. The ability to visit villages that have a relationship with redspokes added to the magic of the trip, and afforded us the opportunity to contribute to supporting local needs (funding for a school recreational area). Thank you, I will take another tour with redspokes!